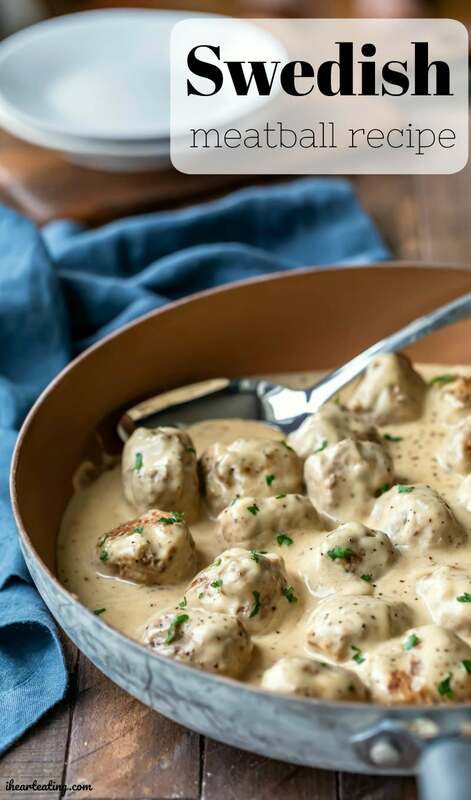 Swedish meatballs made easy! 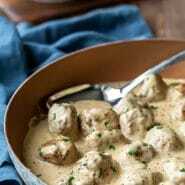 This homemade Swedish meatball recipe is a simple way to make both the meatballs and the sauce. The first time that I had Swedish meatballs was at IKEA. 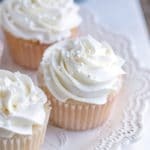 And they were delicious. The combination of the tender meatballs, warm spices, and creamy sauce was pretty fantastic. 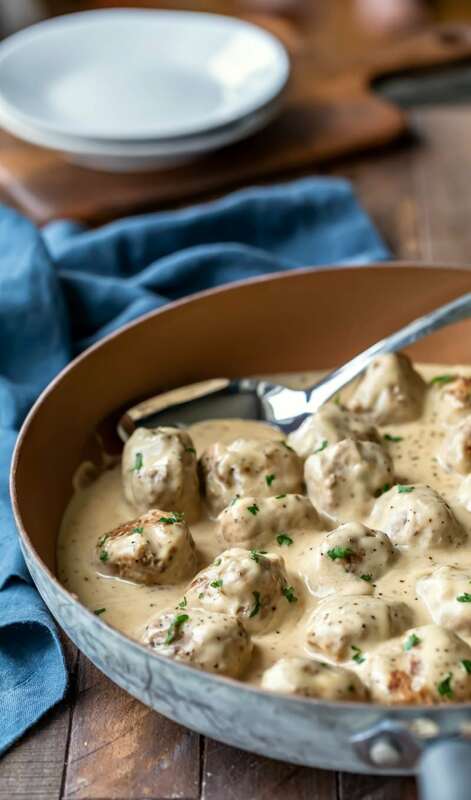 Luckily, Swedish meatballs are pretty easy to make at home. 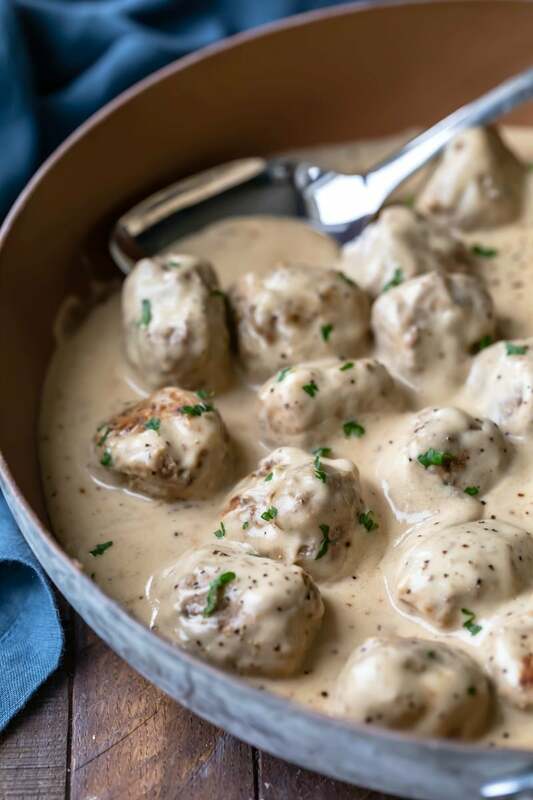 Making Swedish meatballs is really a two-part process. First, you make the meatballs, and then you make the sauce. 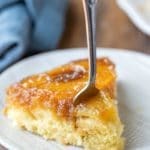 The entire recipe can be cooked in one skillet, which is nice because then you have fewer dishes to clean up. These meatballs vary from Italian meatballs in a few ways. First, they have different seasoning. These meatballs have nutmeg and allspice in them rather than Italian seasoning (oregano, basil, etc.). Second, they use a mixture of beef and pork. Some Italian meatball recipes also call for using more than one meat, but it isn’t uncommon for Italian meatballs to use only beef. Third, the sauce is different. 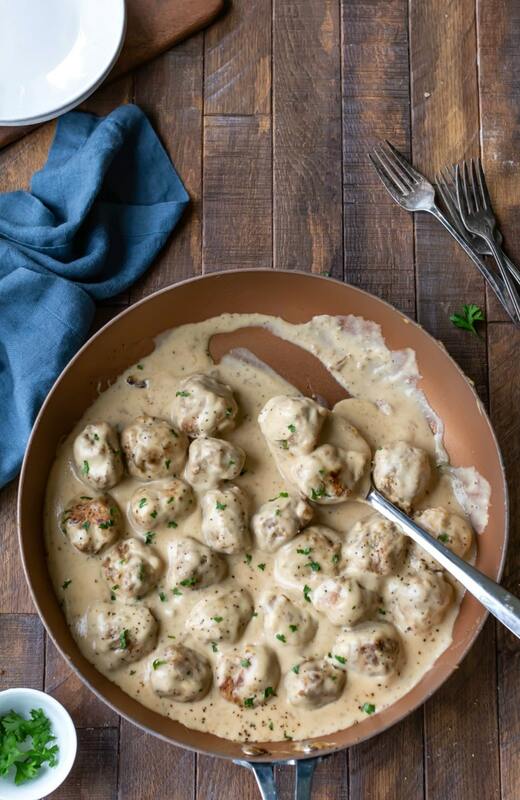 These meatballs are in a creamy gravy rather than a tomato-based gravy (or sauce). I serve these meatballs over egg noodles. I also serve whole berry cranberry sauce alongside because the more traditional lingonberry jam isn’t available in stores nearby. In a 12-inch saute pan over medium heat, melt 1 tablespoon of the butter. Add the onion and a pinch of salt, and cook until onions are soft, about 4-5 minutes. In a large bowl, combine the bread/milk mixture, ground beef, pork, egg yolks, 1 teaspoon of kosher salt, black pepper, allspice, nutmeg, and onions. Using a 1.5 tablespoon cookie scoop, portion out meatballs. Heat the remaining tablespoon butter in the now-empty saute pan over medium-low heat. Remove the meatballs to a platter and tent with aluminum foil. 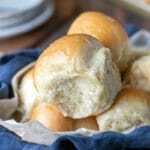 Once all of the meatballs are cooked, decrease the heat to low, and melt 2 tablespoons butter. Add the flour to the pan, and cook until lightly browned, whisking regularly, about 1 minute. Gradually add the beef stock and cream, and whisk until sauce begins to thicken. Stir in sour cream and dijon mustard and cook until sauce begins to simmer. Add the meatballs back to the skillet, and simmer for 1-2 minutes. Serve over egg noodles topped with fresh parsley, if desired. *If you use the ends of the loaf, you will need 1/3 cup milk instead. **You don't want to overcrowd the pan because the meatballs will steam instead of brown. This recipe is confusing. You literally cook the onion and never incorporate the onion in the recipe. Hi! I’m not sure what’s confusing. You mix the onions in with the other ingredients in step 4. Just the recipe I was looking for! The meatballs were delicious. I may double the sauce next time because we like a lot of sauce for the noodles. Thanks! This homemade version looks so much better than what you’d find in any store. The creamy sauce looks amazing!